My uncle Dinny had a .22 rifle that he could barely use. When we went for our mandatory outdoor walk on Thansgiving, he brought his rife --- and asked me to have a go. What he didn't know is that I'd had three years of ROTC in high school, and was a reasonably accomplished marksman. 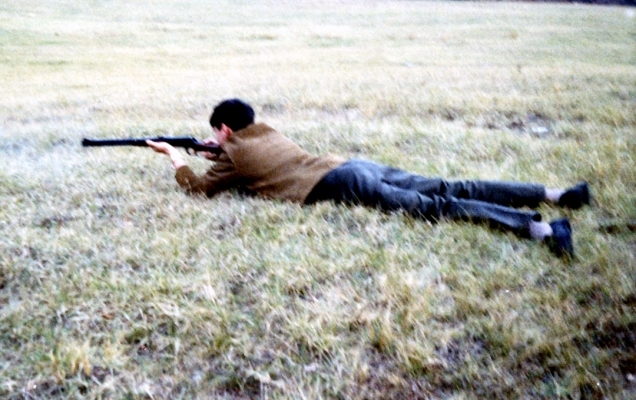 I don't think I've handled a rifle since this photograph was taken 42 years ago.